Inventi Ensemble are masters of classical repertoire, re-inventors of past works, and performers of the new. 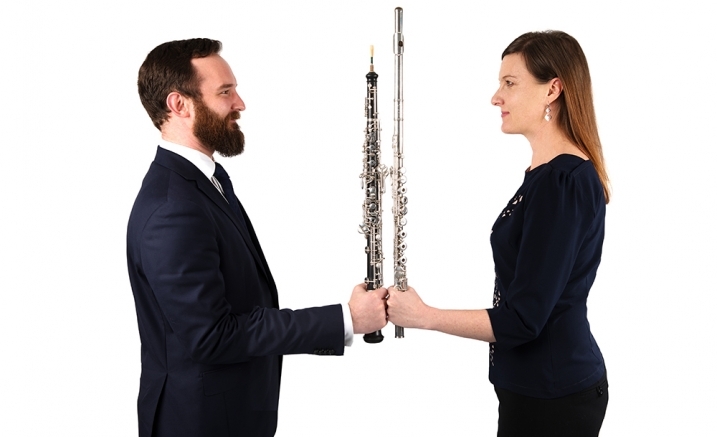 This dynamic new chamber ensemble run by artistic directors Ben Opie (oboe) and Melissa Doecke (flute), collaborates with Australia’s finest soloists and chamber musicians. Inventi Ensemble explore a composer family tree, tracing a lineage through teacher and pupil all the way from 1760 to 2018; from German composer Christoph Willibald Gluck to Melbourne’s own Elliott Gyger. Hear Salieri, Franck and Copland among others as Inventi guide you through the ages in this uniquely linked program for flute cello and piano.